Thousands of people a month in Texas need medical detoxification from various opioid medications and illegal substances like heroin. It appears that the increased usage of opioid medications and heroin is not likely to decrease anytime soon. There is a real need for opioid detox in Texas for those suffering from opioid use disorders. These individuals are looking for solutions to help them stop using opioids. Summer Sky Treatment Center offers people living in Texas a medical detoxification program that can help alleviate the symptoms of opioid withdrawal. People that are experiencing a persistence desire to continue using opioids despite unsuccessful efforts to cut down or control their opioid use will find that our medical detox facility can help them with this problem. Once a person enters medical detoxification the immediate symptoms of opioid withdrawal is managed by trained medical personnel. The goal is to stabilize an individual so that the opioids can be eliminated from the body safely. To achieve remission of these symptoms and establish recovery a person will need to complete medical detoxification and then enter treatment following discharge from a medical detoxification program. Detox alone is insufficient as a treatment and is considered one component of opioid use disorder treatment. To be successfully free from an opioid use disorder a person will need to detox and then follow up into either inpatient treatment or residential treatment. This is determined by the diagnosis and severity level of the substance use disorder. When choosing a medical detox program, it is a good idea to choose a treatment program that offers medical detox, inpatient or residential treatment services at one central location. 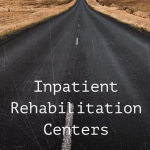 Inpatient treatment programs will help a person learn ways to avoid opioids in the future. This is critical to understand, and treatment centers will help those with substance use disorders learn skills to remain opioid-free after medical detox. Treatment is designed to help a person become successful in recovery. Detox alone is only one component of treatment. Therefore, opioid detox should be viewed as one part of the treatment process. Another concern is choosing a treatment program that utilizes evidence-based medications as part of their treatment program. Many individuals after medical detoxification will be placed on medications that can help a person deal with craving issues. You can discuss with the medical doctor and nursing staff if this is an option for your treatment either during medical detox or directly after medical detoxification. A medical doctor at the facility will discuss with you if anti-craving medications are something that you can benefit from during treatment. Some people only take anti-medications during treatment, and others utilize the medications after treatment into recovery. The main thing is you need to make sure the option is available at the detox center you choose to attend for services. Not everyone will want these medications, but the options should be available for your consideration. Since detox alone is only one part of the treatment process, it is important that the inpatient or residential treatment program also offers education and relapse prevention therapies to teach a person on how to interrupt the relapse process so that you can remain in a recovery state of mind. Summer Sky Treatment Center places a lot of emphasis on relapse prevention technique as well as for those that have a history of relapse; they can benefit from a specialized treatment program called the Summer Sky Relapse Track™. When a person enters medical detox, their primary concern is not to experience withdrawal symptoms, and there is no doubt medical detoxification is going to help alleviate those symptoms and any associated fears. You will experience relief and hope will emerge during and after the detox process. You and the medical professionals along with the clinical counseling department will analyze the next course of action for your individual situation. You will develop a treatment plan that will address all your individual needs, and you will begin to work toward achieving those goals identified in your treatment plan. What is important is that you follow through with the recommendations so that you can be successful in recovery. The medical and clinical team will always have your best interest in mind and be working with you to help you become successful. It is important to follow up with all treatment recommendations that you and your medical and clinical team identify in your treatment planning. Treatment plans can be updated and changed during treatment if something is not working or needs to be changed. People that desire to become free from opioids seek help first by utilizing a medical detoxification program. These addictive substances cause a disruption in the body and mind that must be stabilized so that psychological treatment can be effective. A clear mind and body will allow a person to analyze problems and develop plans to address their problems. People with “opioid addiction” or opioid use disorder experience symptoms of a chronic condition that affects everyone differently. It is important that people develop individualized treatment plans during treatment and that they focus on working toward addressing their chronic condition. Opioid use disorders are chronic conditions that are treatable. Some people experience moderate problems while others experience more severe forms of opioid use disorders. We suggest people follow their treatment recommendations and their continuing care plans upon discharge from a treatment program. Do you need opioid detox from an opioid medication? People have been prescribed opioid medications for many years for a wide range of medical conditions, and many people end up becoming addicted to the medications. If you are one of these individuals, we want to encourage you to call Summer Sky and discuss the problem that you’re having with these medications and let us help you determine if opioid detox is something that you can utilize to benefit your situation. Some people develop opioid use disorders because of prolonged usage with opioid medications. No matter which opioid medication you have been using; if you would like to discuss with our treatment center your situation and your opioid medications then call Summer Sky, and we will be happy to discuss issues you may be experiencing related to opioid medications. If you already know you need medical detox and you are aware that you need this service, you can call us directly at 1-888-857-8857 to arrange or schedule and admission today. Our medical detox programs are designed to help you become opioid-free. 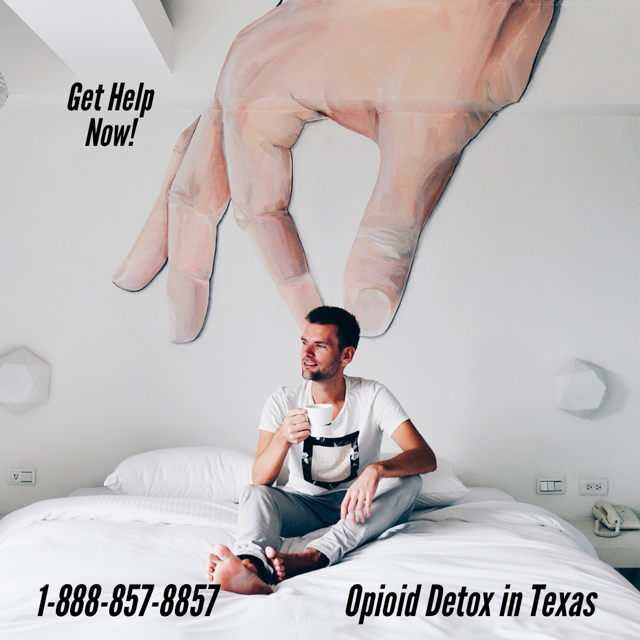 Opioid detox is available to all people living in Texas. Summer Sky is nationally recognized as one of the best detox programs in the country. Our State-of-the-art medical detox program is an evidence-based medical detox program that uses the most advanced best practices in opioid use detoxification procedures. Summer Sky understands that it takes a lot of courage to make up your mind to ask for help and we value your decision to choose us for your detox services. Dignity is so important when you need opioid detox, and we value and respect the individuals we serve. Summer Sky goes to great lengths to make sure you experience dignity and respect from our medical and clinical staff. We operate with the philosophy that all people utilizing our detox and treatment services are always provided with dignity. It is estimated that over 1.8 million Americans have an opioid use disorder. Many of these individuals are addicted to opioid painkillers. Roughly 626,000 people have a heroin-related opioid use disorder, and our nation faces an ongoing crisis of overdose deaths from opioids, including heroin, illicit fentanyl, and prescription opioids. Summer Sky wants to help as many of these individuals get the help, they deserve. People with an opioid use disorder can be free from addiction by asking for help and then entering an opioid detox program. Once detox is completed, then a person should commit to ongoing treatment and recovery. Many people in Texas suffer daily from a chronic medical illness called “opioid addiction” or more commonly known as an opioid use disorder. It is important that people understand that addiction is a chronic illness that if left untreated the individual will experience long-lasting biological, psychological and social problems. The good news is that once people attend medical detox followed by treatment their lives dramatically improve in recovery. Today evidence-based effective care has improved remission rates and helped thousands of people enjoy freedom from opioid addictions. Summer Sky is a facility that utilizes the best in evidence-based effective care with its medical detox programs and substance use disorder treatment programs. Our Opioid Detox Program is a premier evidenced-based medical detoxification facility that has been serving Texans for over 34-years. We help men and women find freedom from various substance use disorders. 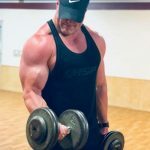 It is common that people living in Abilene, Amarillo, Austin, Corpus Christi, Dallas, Houston, Lubbock, San Antonio, Tyler, Odessa, and Waco, Texas travel to our detox and substance use disorder treatment center daily to experience our Texas detox programs and substance use disorder treatment programs. Summer Sky offers 24-hour medically monitored detoxification services available 7-days a week. Don’t let transportation stop you from coming to treatment? We have a dedicated transportation team that will come and pick you up for detox services. If you are having difficulty finding someone to take you to detox or inpatient treatment, mention your transportation needs to our admissions department if you need assistance with this service. No matter which opioid you need a detox from Summer Sky can help you safely and comfortably detox from the substance. The process for admission into our programs begins with a phone call to our 24-hour admission hotline that is answered 24-hours a day 7-days a week. This is a completely confidential process, and if you decide that you want to move forward with a scheduled admission, our admission team will help facilitate the process of admission into one of our treatment programs. We can be reached at 1-888-857-8857. We look forward to speaking with you and helping you get the detox you deserve.